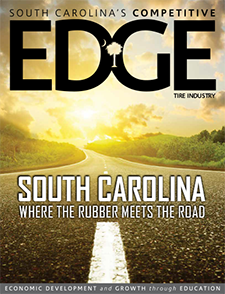 South Carolina creates an environment of success for the tire industry, and success breeds success. The Palmetto State is the top tire producer in the US, generating over 99,000 units each day. It also leads the country in exports and accounts for over 30 percent of the nation’s overseas market, which is nearly four times as much as its closest competitor, Ohio. The past five years have been extraordinarily successful, with billions of dollars invested in South Carolina by three of the world’s largest tire manufacturers: Michelin, Bridgestone and Continental. All totaled, these three companies employ nearly 11,000 South Carolinians. An additional 3,000 jobs are on their way as new plants by Trelleborg Wheel Systems Americas, Inc. and Giti Tire Group reach full production, along with various expansion projects across the state. The key to building that skilled workforce is readySC™, which provides recruitment and training solutions for new and expanding industries throughout the state. Since 2010, readySC has trained over 2,500 people for the tech-savvy tire industry, and an additional 3,000 are projected to be trained in the next five years. That tailor-made approach still works today: from recruitment micro-sites and pre-employment workplace simulations to train-the-trainer programs and comprehensive on-the-job training. 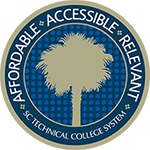 South Carolina’s readySC program uses its wealth of experience to design the right solution that is a perfect fit for each company’s unique needs.